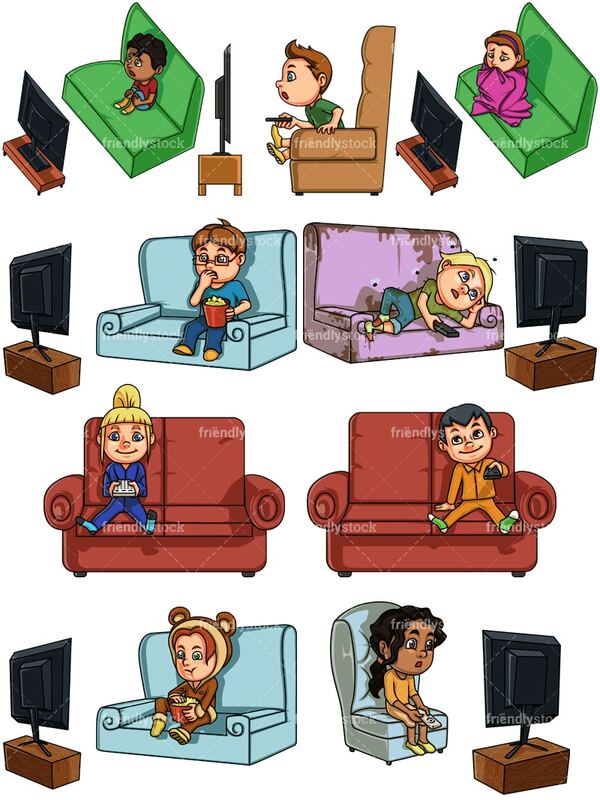 Royalty-free stock illustration of a little girl with blue eyes, blonde hair and a ponytail, sitting on a red couch, watching TV and smiling as she changes the TV channel with the remote control she is holding. 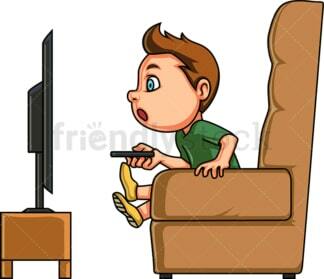 Royalty-free stock illustration of a little boy with brown hair and blue eyes, sitting on a couch and watching TV, holding a remote and looking like he is changing the channel. Royalty-free stock illustration of a nerdy little boy with brown hair, wearing glasses, and eating pop corn while watching TV at home. Royalty-free stock illustration of a blond little boy lying in a dirty couch and watching television while there are flies surrounding him. He looks like he is changing the channel with a remote control. 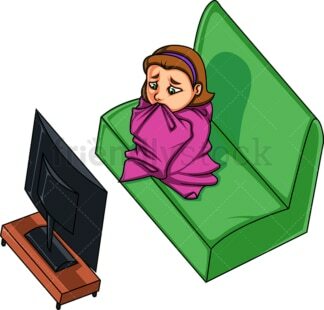 Royalty-free stock illustration of a cute little girl with brown hair and green eyes, sitting on a green couch and looking scared while covered with a blanket, watching a thriller movie on the television. 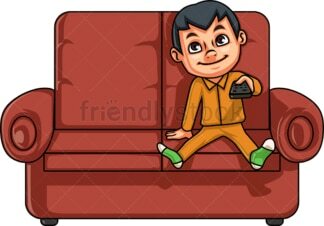 Royalty-free stock illustration of a little boy with dark hair, as seen in front view, sitting on a red couch and smiling as he changes the channel on the TV with a remote control. 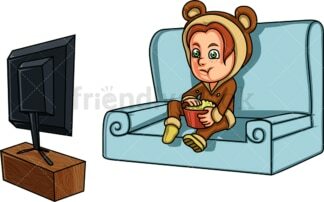 Royalty-free stock illustration of a little girl with red hair and green eyes, wearing adorable jammies and eating pop corn as she watches her favorite tellevision show. Royalty-free stock illustration of an African-American little girl with dark curly hair, brown eyes and a low ponytail, sitting on a chair and holding a remote control while watching her favorite television show. Royalty-free stock illustration of an African-American little boy with dark curly hair, watching a scary movie on the television and looking a little scared while sitting on a green couch.